Tideswell’s Rebecca Sudore and the PREPARE team published some exciting research results in the May 2017 issue of JAMA Internal Medicine. The study of over 400 VA patients found that after using PREPARE, 35 percent of older adults had documented advance care plans (ACP) in their medical records. One group was given only an easy-to-read advance directive, and had a 25 percent increase in ACP documentation. A second group received the advance directive plus access to PREPARE, and had a 35 percent increase. Neither intervention required any clinician involvement, training or education. Patients who received PREPARE also reported significantly more engagement in advance care planning, such as having discussions with family, friends and clinicians, and feeling more confident and ready to have these conversations. These results show that patient-centered initiatives can empower people to make decisions about their care. 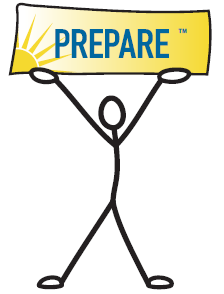 Click here to learn more about PREPARE.